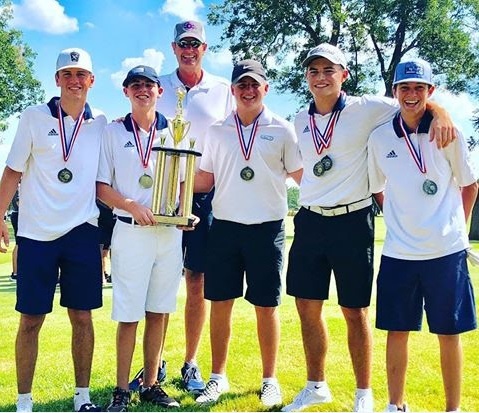 Congratulations to the Golf Team and Coach Lewis! (l-to-r) Mason Napier, Tate Lewis, Coach Randall Lewis, Holden Stone, Blaine Hill, and Tyler Harvey. The Paris High Boy’s Golf Teams competed in the McKinney High Fall BBQ Classic on Wednesday. Paris Blue placed 1st ahead of Prosper and Allen with a team score of 303. Blaine Hill led the Cats tying for 1st place individual with a 73. Paris White shot 398. All team and individual scores are attached.